The Conservatory at Miami Hamilton is a registered All-America Selections (AAS) Display Garden. All-America Selections National and Regional Winners have been tested for garden performance by a panel of expert judges. AAS gardens provide the public with an opportunity to view the newest AAS Winners in an attractive well-maintained setting. Check out the All-America Selections Best of 2018. 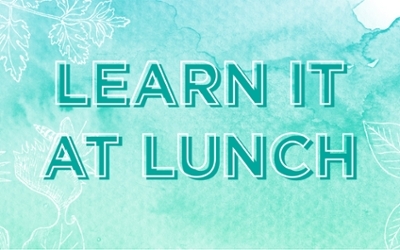 Grab a friend and a pack a lunch to learn those green thumb tactics you always wondered about. No experience required. All events are free and open to the public. 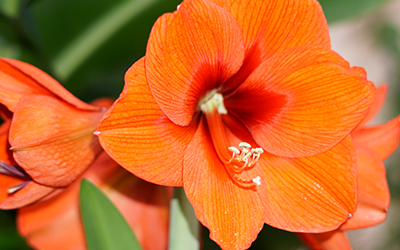 Hippesstrum hybrids are given the common name amaryllis. These are bulbs that are sold each fall for winter forcing. These hybrids are developed from species of plants indigenous to Central and South America. Plants can be grown year after year, with proper care. Inquire at the conservatory for more details. 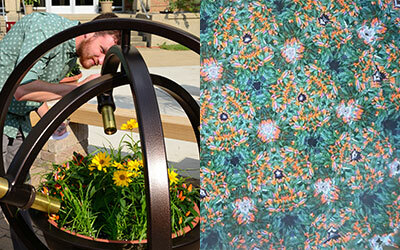 Designed by Robert Anderson, the garden kaleidoscope was inspired by an interest in ecology merged with the concepts of kaleidoscopes as an art form and outdoor sculpture. Special thanks to Sue Samoviski and City of Sculpture, and the generosity of some very generous donors to make this special gift in honor of Miami Hamilton's 50th anniversary! The cactus family in bloom at Miami University Regionals. Cactaceae. Eighty-two inches and growing. We are not done yet. The Conservatory supports the instructional and research programs of Miami University, to maintain a scientifically verified collection of plants, to enhance the knowledge and appreciation of plants through public education and interpretive programs, and to promote the conservation of natural resources. Our vision is to promote the betterment of the academic programs of Miami University and the schools and citizens of the region. Admission to The Conservatory is always free!